Enjoy coming home with family friendly estates perfectly positioned for convenience and livability. Know your neighbours! Residents in our estates are primarily owner occupiers. Building has never been easier with access to our partner builders, finance and legal services. Working across the Capricorn region, Keppel Developments Pty Ltd is a locally owned and operated company. Since its establishment in 2011, Keppel Developments has grown to become one of the region’s largest residential land developers. Current developments include Sea Haven Yeppoon, The Shoals Lammermoor Beach and Crestwood Norman Gardens in Rockhampton. Bill has lived in Rockhampton and Yeppoon for almost his entire life. 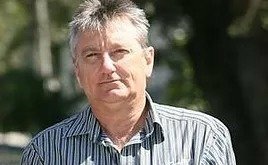 He is an experienced businessman who has successfully developed land in Central Queensland for over 25 years. Some of Bill’s previous projects in CQ include Wilson Close, Archer View and Woodlands Chase in Rockhampton, Harbour View in Gladstone and The Meadows in Gracemere. Troy was born and grew up in Rockhampton. He now lives in Brisbane but continues to have close family and business ties to Rockhampton and Yeppoon. 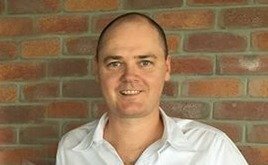 Troy is a private investor and served as a non-executive director on the board of Villa World Limited, a large house and land developer listed on the ASX, for 5 years from 2009 to 2014.
like us to promote? Let us know!